New York : Whole grain diet may help to significantly lower the risk of heart disease in overweight and obese adults who are under the age of 50, finds a new study. The findings, published in the Journal of Nutrition suggested that whole grains can be a key regulator of blood pressure and could provide an effective nutritional strategy to reduce cardiovascular related deaths and disorders. 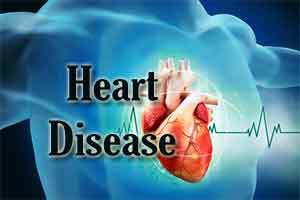 “Heart disease and strokes are a leading cause of death. This research shows that eating whole grains reduces the risk of heart disease,” Director of Metabolic Translational Research Center John Kirwan said. In the study, a group of 33 overweight and obese adults followed a whole grain diet (intervention) or a refined grain diet (control) for two eight-week periods. The diets were exactly the same, except for their content of whole grains or refined grains. At the beginning and end of each diet period, participants spent three days undergoing metabolic testing in a clinical research setting. Participants taking antihypertensive medication were instructed to maintain medication usage throughout the study. While on the whole grain diet, participants saw a three-fold improvement in diastolic blood pressure (the lowest pressure when your heart relaxes between beats) compared to the refined grain diet. This improvement equates to reducing the risk of death from heart disease by almost one-third and the risk of death from a stroke by two-fifths. “This level of control can only be performed for small numbers and provides the essential empirical data that cannot be obtained from large observational studies. These evidence-based data demonstrate the effect of diet on cardiovascular disease outcomes, particularly diastolic blood pressure,” Kirwan added.